What will the Year of the Pig bring you? Those born into this year are natural bon vivants - they love to entertain and treat themselves. They’re enthusiastic and energetic which makes them great leaders, and follow through their words with actions - making them great performance marketers. Many take time off during the Lunar New Year to spend with their family and loved ones - the last thing you want to be worried about is how your Facebook campaigns are performing. Is your latest video ad getting enough views? Is the seasonality campaign hitting the target CTR? How is this year's campaign performing versus last year? With only a limited time left to optimize your 2019 campaigns for the Lunar New Year, let’s take a look at what some of our customers are doing to ensure that their campaigns are running smoothly. Other than prepping themed creatives for A/B testing, The main question you need to answer is when creative testing can start for the season. With very limited time for Lunar New Year campaigns to run prior to the season, performance of the ad creatives on the actual days might differ as well. Time is precious; optimize your campaigns for the right audience with the right creative at the right time. Pro-tip: Use Smartly.io’s Ad Rotation feature to ensure the best performing creatives are automatically tested and chosen every day, or hour. 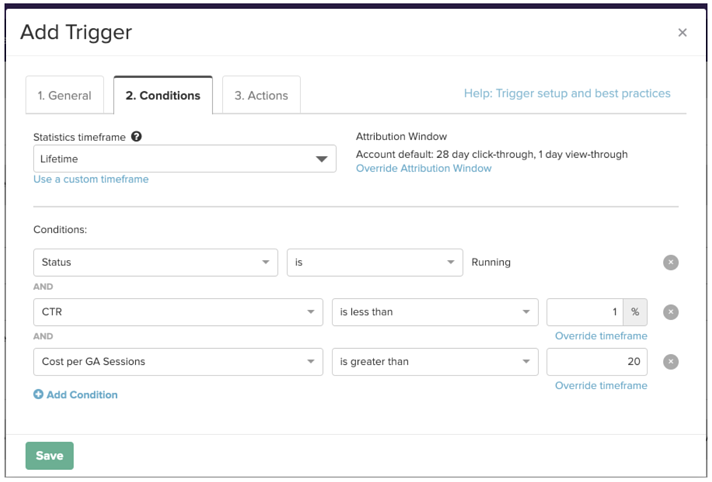 Pro-tip: Create highly customizable triggers to automate specific manual checks such as those above, and set up notifications to get specific email alerts when your desired conditions are in place. Better yet, let the Smartly.io platform make immediate campaign changes for you - automate bid/budget increases when your campaigns over perform, or create that lookalike audience. 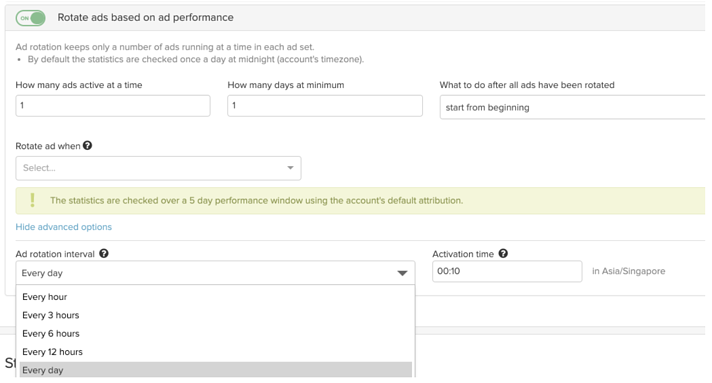 After setting up the conditions on your Automated Ads campaign to only create ads when “Upload” cell equals to “Yes”, you can now sequence ads however you wish by configuring “Start dates” and “End dates". Smartly.io customers’ pro-tip: If there is a need to (suddenly) make changes to your ads, simply make the edits directly into the spreadsheet and Smartly.io will automate the changes for your ads in the next sync. Yes, you read it right; you don’t have to log into Smartly.io or Facebook to make changes at all. Celebrate Lunar New Year the way it should be with family and friends. For assistance in setting up any of these tips, please reach out to your Customer Success Manager or our 24/5 support chat. May the Year of the Pig bestow you with bundles of growth and prosperity to achieve all beautiful (campaign) goals!